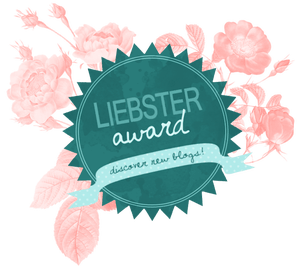 I am so proud for being nominated by Liberty from The Wonderlust Bug for the Liebster Award, an award from blogger to blogger to show appreciation and caring toward each other. Liberty is super cool, a free spirit – it couldn’t be otherwise with her name – she has traveled extensively throughout all continents and she keeps going. Write a blogpost about your nomination, displaying an image of the award. What is the destination that stands out the most for you and why? I am lucky enough for having traveled to many amazing places such as Australia, Iceland and Kenya, but my recent trip to Oman has revealed to me a country still less touristy with a breathtaking nature, offering a great dose of adventure, delicious food and the most welcoming and genuine people. What is your ultimate travelling anecdote? I will answer to this question when talking about the food below. I started blogging because I wanted to tell more about my trips than just posting some info-detailed pictures on Facebook. After a while my passion for it rocketed, making the blog one of the things I care the most in my daily life. Later on I found out how time consuming it is, the mental effort needed to make it work, the good and the bad of blogsphere, bust still I could not give it up. When did you catch the wanderlust bug? I think I was born with it cause I don’t remember a moment when I realized that actually I love traveling. Since ever exploring the world has been part of my life, thanks to my parents, together with whom I used to travel often and who let me go abroad to study English when I was a teenager. What I can add is the urge to travel farer and farer grew up with me. We were in a very fancy restaurant in Paris just a couple of weeks ago. I read on the menu ris with some vegetable and for me that was ok. When the waitress handed me my meal I could see it wasn’t rice: it was meat, but still OK to me, even though its consistance was different. I am not the kind of person that doesn’t even taste the food, but when I had my first bite I was about to faint: I was sure it was lamb brain and really I couldn’t stand the thought I was chewing it. Finally I checked on the dictionary and I realized it was cow entrails which are more common according to my personal food culture: I tried to keep eating but I couldn’t finish it. So, when in France, pay attention to the difference between riz and ris (de veau). What is the one useful travel tip you always share with new travelers? I keep it simple: take it easy – whatever happens during traveling – and be always open-minded. Is there a place you have visited that didn’t live up to your expectations? Why? It happened to me to think that a certain place has been well advertised as it was slightly disappointing but apparently none was too much that I can clearly remember. What I can tell is, despite most of travel bloggers / backpackers / travel addicted seem to love Bangkok, I could not find a connection with it: I cannot say I dislike this city but really I couldn’t feel comfortable when there. Is there anything that you regret from your travels? My only regret when I travel is not staying longer in a place. What two things do you ALWAYS take on a trip? Obviously my camera and a large scarf, which can be used as beach towel or to cover myself in certain situations – as visiting a mosque or an Hindu temple – or even to protect me from the sun or cold. I would like to start discovering more a part of our globe which has always fascinating me: Middle East and Central Asia. What do you hope to achieve with your travels and your blog by 2017? Same answer of the previous one about traveling and, relating to the blog, to keep having an increasing number of passionate readers. Again, many thanks to Liberty: it was a real pleasure to be one of your nominees and answer your questions. What is the scariest thing you have experienced while traveling? Given the choice, what holiday would you prefer – city break, beach break or adventure holiday? Which place should every traveler visit at least once in their lifetime? If you could watch any movie during a flight what would it be? p.s. The Italian ones can use the standard language of their blog, if they prefer and accept the award. E’ stato un piacere 🙂 corro a leggerti! Ciao Valentina! Figurati, è stato un piacere: quelli bravi che scrivono con passione vanno incoraggiati! Thanks again Liberty, I truly enjoyed answering your questions. I wish you to Kenya asap: I am 100% sure you will love it! Grazie a voi ragazzi 🙂 felice vi abbia fatto piacere!